It’s so nice to know my peers and industry professional recognize the importance of this revolutionary technology. Robert Harley, John Atkinson, Neil Gader, and Scott Wilkinson all reveled in the immersive “binaural” surround music that CEO Perry Teevens shared with them and attendees. And my hats off to Perry because he never stopped demoing…he even skipped lunch to make sure everyone had adequate time to experience the demo. The other memorable moment of the day for me occurred at the end of Robert Stuart’s seminar on MQA. I’ll dig into more details when I have more time but one of the first questions came from a local mastering engineer name Brian Lucey. He runs Magic Garden Mastering, a prominent studio in Los Angeles that has garnered more than few Grammys for his clients. He wanted to know why the MQA versions of his projects don’t sound as he wants them to. They aren’t the “masters” — in his words. “My concern is telling people that MQA is equal to or better than mastered files I print here. That’s a lie. I do pop and rock and alternative. Loud records, processed a ton. I use the Pacific Microsonics AD and even 24/44.1 that I print here (I like 44.1 for the density) was a bad result after MQA. I can only imagine it’s worse with higher math, or maybe it’s better, I wouldn’t know. Don’t care if Bob Ludwig or Massenberg disagree. I have a lot of Bob’s former clients and I don’t fancy the Massenberg EQ or his ear. Of course, he wasn’t well received by the rest of the audience. They seem willing to let the MQA train keep rolling without listening to the contrary opinions from professionals at all stages of the production chain. I spoke to an audiophile friend at the end of the first day and he was all about how MQA was the next big thing. He’s wrong. Glad to hear that the LA show is going well for you and Comhear. Wish I could have made it out there. In regards to MQA: so the plot thickens, eh? Hi Carlo. Yes the plot definitely thickens. I’m not sure where you stand on the whole issue of MQA. 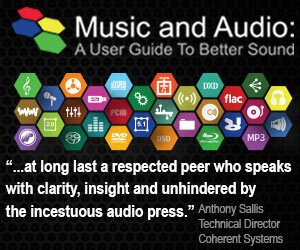 Most of the audiophile press are all over it. Those of us in the trenches and those who design equipment are not toeing the line. It’s a completely unnecessary process. 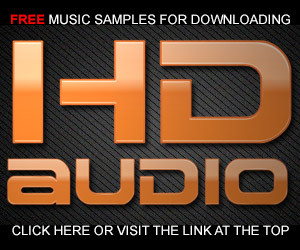 As far as I am concerned, until I am able to experience a legitimate A/B comparison of an MQA encoded track versus it’s non-MQA encoded iteration for myself, I will remain of the opinion that this is simply a well crafted licensing/copy protection scheme hidden under the guise of a “High Definition” format. Hi Carlo, it is unlikely that you will experience a “legitimate A|B comparison” because it will not provide any dramatic sonic difference. You’re not alone in believing that the whole MQA thing is a business opportunity and not about improving audio fidelity. 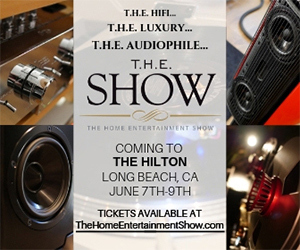 Of course, the whole high-resolution audio hoax as perpetuated by the DEG, NARAS, labels, and equipment manufacturers is just another part of the same money grab. I’d have to research the Polk technology but the YARRA 3DX is based on research (and patents) done at UCSD by my close friend and his grad students. The idea of using beamforming to direct sounds to specific locations in a room is not new but they figured out how to do it without hypersonic carriers. There are other systems but they are much more expensive…add 2 zeros to the price to get a BAACH unit for example. Well I know how MQA works. That’s how I know it’s worthless. Was this a “jaw dropping” experience? 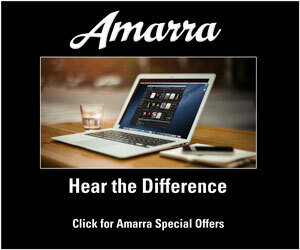 Audiophiles seem to suffer a lot from both of those, their jaws dropping and getting blown away. Happens all the time. John Atkinson demonstrated when he reported that he didn’t understand at his live versus recorded demo in Maryland why his recording of a Steinway D grand piano didn’t sound like the real piano through his Vivid speakers. His audience tried to explain it to him but he just didn’t get it. He said he wondered about it for the longest time. If I had any lingering doubts about his hearing acuity or judgment, that was the last nail in the coffin. For all the good his opinions are to my way of evaluating things, he might just as well be as deaf as a post. Don’t tell him the $699 a pair Emotiva Speakers sound as good as the Revel Salon II speakers. Those are among his favorites. Mark, thanks for the good review of the Yarra 3DX. I was hoping to hear that for myself at AXPONA but it was too hard to hear it on your table in the hallway with all the noise there. I hope to get to experience it for myself in the future. RE: MQA. I couldn’t agree more. I actually argued for a while with them in their room 2 years ago at AXPONA. It was just getting off the ground and they were making all kinds of claims (that neither of us agree with). I kept trying to make the point that nothing that they were doing was going to improve the music but it fell on deaf ears. I have to agree that if they are using some kind of compression that that allows a better fidelity to reach the listener via streaming without using more bandwidth, that is good. But it is not an improvement over the original. Hi Mark, my first introduction to MQA was viewing one of your seminars on Hi Def music on which you were very positive about it but this was when it appeared to be just a clever way of streaming Hi Def music over limited bandwidths. Since then we now have this additional claim of the process cleaning up the sound (time blurring?) and so improving the actual original master. My concern is recording engineers being forced to adopt this process because their ’employers’ or customers insist on it just to follow the herd – worse the impression that recording not encoded with the process could in some way make their recordings inferior. It frankly pisses me off that in an age when it should be no problem to get a studio master digital copy of a record available to download or on disc, we have yet another barrier stuck in the way – requiring investment in more new gear to negotiate it. Hi John. Robert Stuart has been a friend for a very long time and he is an acknowledged expert in digital audio and signal processing. Meridian equipment was and is regarded as some of the finest in the world for reproducing music. Holding back MLP — the encoding scheme adopted by the DVD forum for DVD-Audio — for streaming from Dolby, the current holder of the technology for discs and downloads, was brilliant and allowed a new entity called MQA to emerge in the streaming space, which is undoubtedly the future. I have no problem with MQA being able to cleverly being able to “fold” ultrasonic frequencies into the bandwidth of a CD. My problem comes when you realize that virtually all of the recordings being processed into the MQA format don’t have any ultrasonics. That means the origami trick of gimmick is moot. For the few recordings that have been made using high-res gear that do have ultrasonic frequencies, MQA might be great. I don’t know because despite repeated requests to hear my own stuff in their format, nothing has been provided. Then there’s the problem of speakers not being able to reproduce frequencies that aren’t there AND our ears failing above 20 kHz to excite our brains. This last point is a soft one for me…I believe there just might be something going on there that makes preserving all of the frequencies generated by acoustics instruments and voices valuable. My mantra is that if the sound was in the room, I want to capture it and reproduce it. The whole time smear business is also a none issue. Designers of ADC and DACs have worked out the issues associated with “pre-ringing” (which only happens near the Nyquist Freq or 48 kHz on a 96 kHz PCM recording) and timing. I listen to my recordings and I certainly haven’t ever heard better including the demos I’ve heard of MQA. Their system seems to me to be an attempt to convince labels, consumers, equipment makers, and the press that they have some new special sauce that will enhance the listening experience of old and new recordings. Rather than continuing to sell $17,000 CD/DVD players, Bob Stuart (a very credible individual) and his investors are pitching a solution to a problem that doesn’t exist. It comes down to money. What better way to make a pile of dollars than by getting a few pennies from everyone involved in the music delivery business. My hope is that the industry moves to making better recordings in stereo and surround. 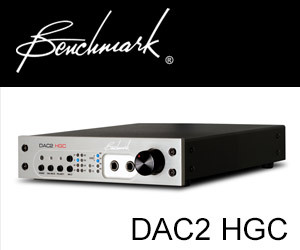 The current hi-res PCM technology (at 96 kHz/24-bits) can handle all of the fidelity we need. It’s the techniques and processed that need improving. Thanks for the explanations. I think i’ve communicated before that i totally agree with you advocating recording whatever is produced frequency wise giving the benefit of the doubt to it in case it does effect the outcome (i think it does) regardless of speaker capability etc etc – at least it’s there for posterity and who knows as technology advances someone in the future will thank you and others for doing it! From a music consumer point of view which is what i am, i want to feel i am buying the ‘best’ of any recording. We have enough confusion already with PCM vs DSD, 44.1 vs 96, vinyl vs digital etc without adding yet another contentious issue into the deal which is exactly what MQA has done. You may have already addressed this in your emails; if so, I missed it. Will the Yarra 3dx collaborate with an existing 2 channel audio system and past recordings to extend the soundstage toward and behind the listener? In other words, could it be added to an in-place system and effectively enhance the current listening experience? Chuck, the YARRA 3DX system works very well with stereo programming. I was in San Diego a couple of days ago when Peter Otto (the CSO) played a Dire Straits track. I stood 10-12 feet back from the unit and was blown away by the sound and spatial distribution of the mix. However, it produced a great stereo image only. If material is originally in multichannel the immersive, 3D audio is possible — if the original was a stereo program, then you only get stereo.